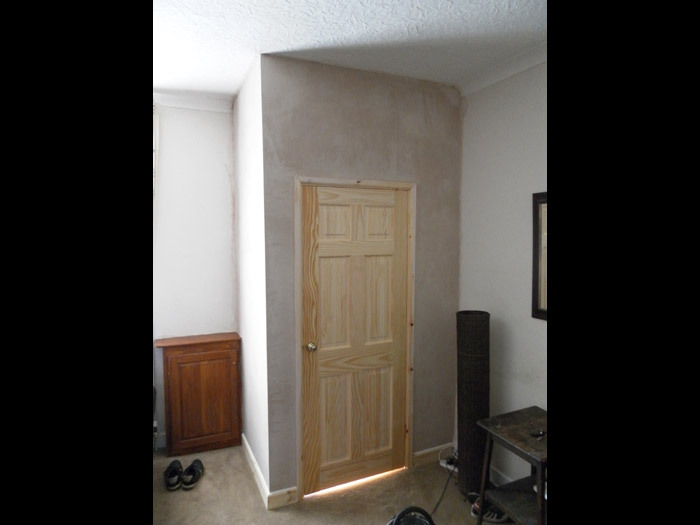 This work carried out on behalf of an insurance company after a flood meant the room was in need of a complete renovation. 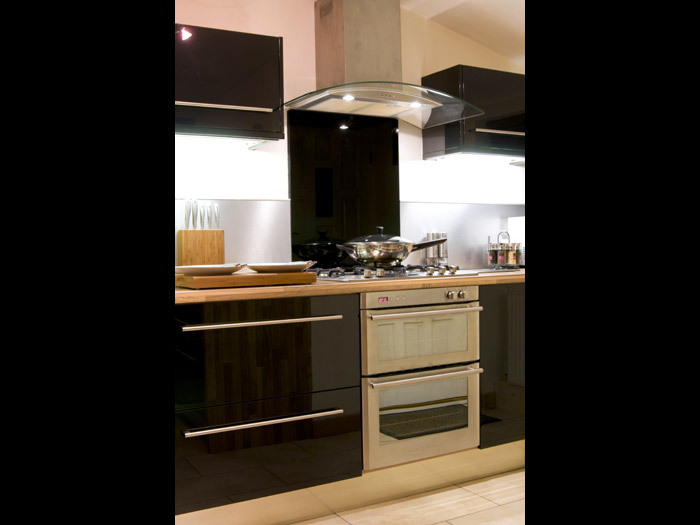 The finished kitchen is a modern contemporary style and includes high gloss units, laminate work top a Franke sink with professional pull-out tap and stainless steel splash backs, upstands and handles. After removing all the water damaged former kitchen and flooring we tiled the floor, re-skimmed the plaster on the walls and fitted the new kitchen including extra down-lighting. The work was completed in less than two weeks in order to cause as little disruption to the customers as possible. 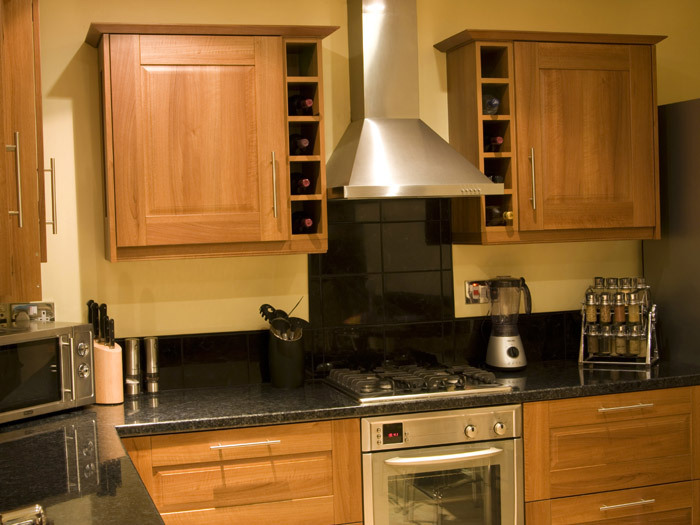 "Dear Jason, we wanted to write to thank you for the great job you did in fitting our new kitchen. 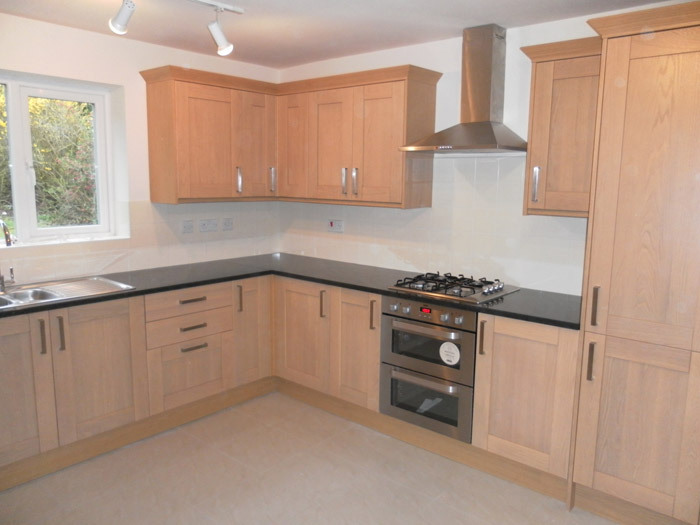 We're really impressed with the finished kitchen and are enjoying cooking in it! Thanks for organising everything for us, we found all the people who worked on the room professional and courteous and we were very happy that you all took the time to clean up after yourselves and leave us with a perfect kitchen. Thanks again." 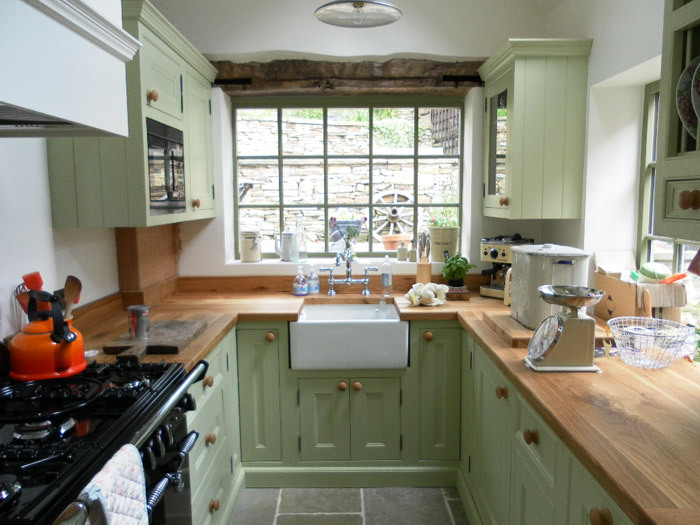 This project was a handmade timber kitchen with oak worktops. The kitchen was fully rewired bringing it up to current regulations then a bespoke kitchen fit was undertaken to produce a one-off kitchen. This project began with producing CAD drawings for the customer to give an insight into the overall finish of the kitchen. 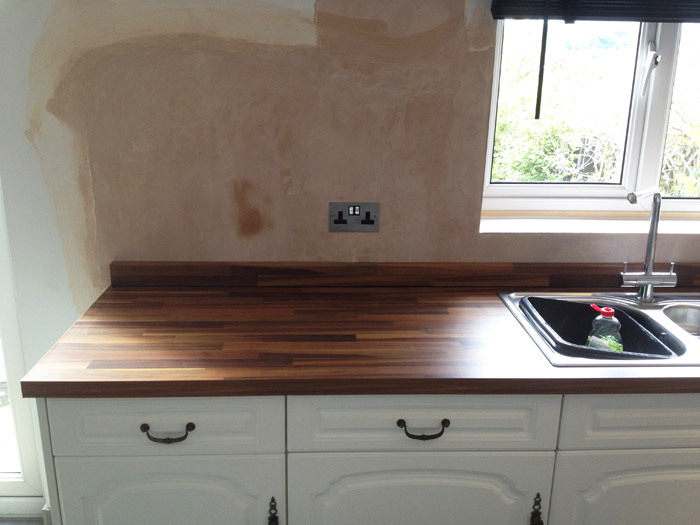 High quality fitted kitchen installation in Glossop. 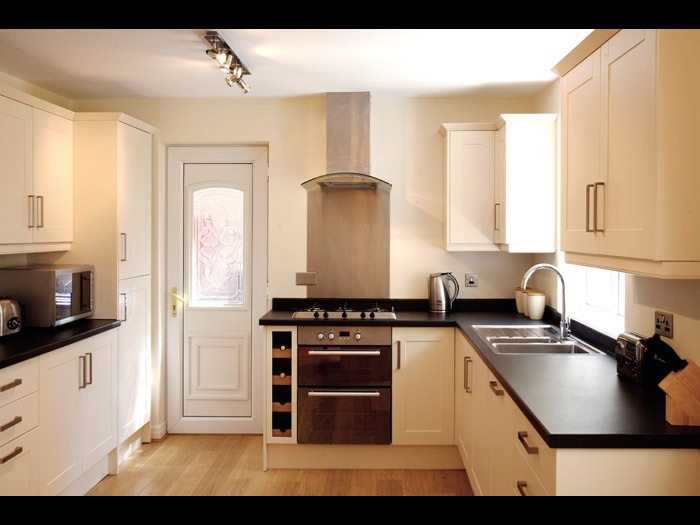 We removed the old kitchen, plastered and decorated the room and fitted the new kitchen including granite worktops and solid oak doors. 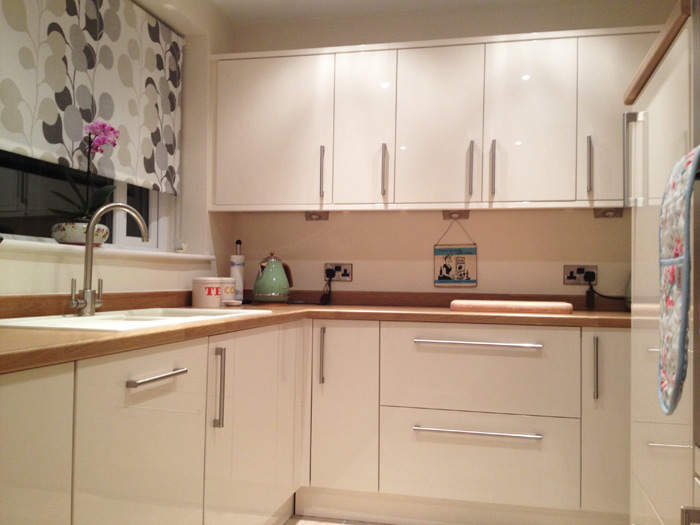 Here the customer wished to update his kitchen without going to the expense of a full replacement. 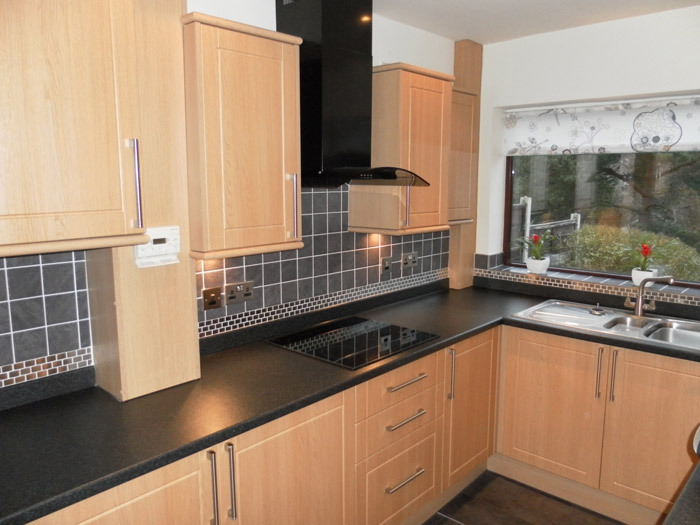 To achieve this we removed the tiles, fitted a new worktop, re-plastered and fitted new chrome sockets and upstands. The finished kitchen looks modern and clean. "We are very pleased with the new flooring Jason has fitted for us and have no hesitation in giving him an excellent reference. Jason carried out his work professionally especially paying attention to the small details which added to the overall finish which is fantastic. 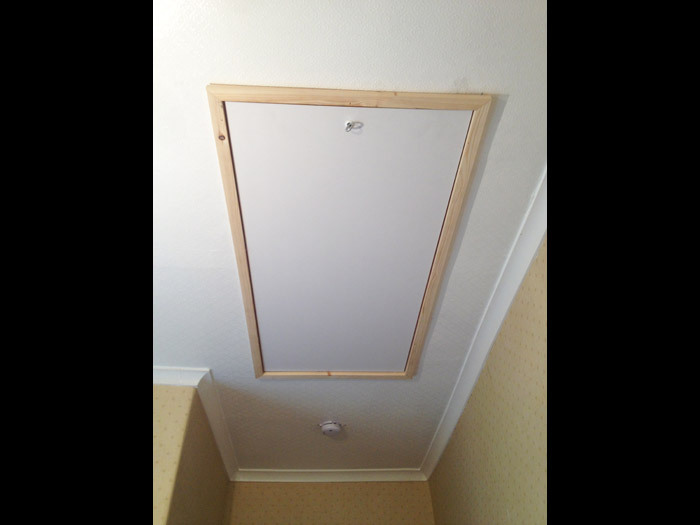 He left the job clean and tidy and we will recommend him to anyone needing a joiner in the future." This conversion involved opening up the main stone wall leading onto the garden to allow the french doors to be installed which gives maximum light to the room. We fitted electric points and halogen lights to create a clean finish. 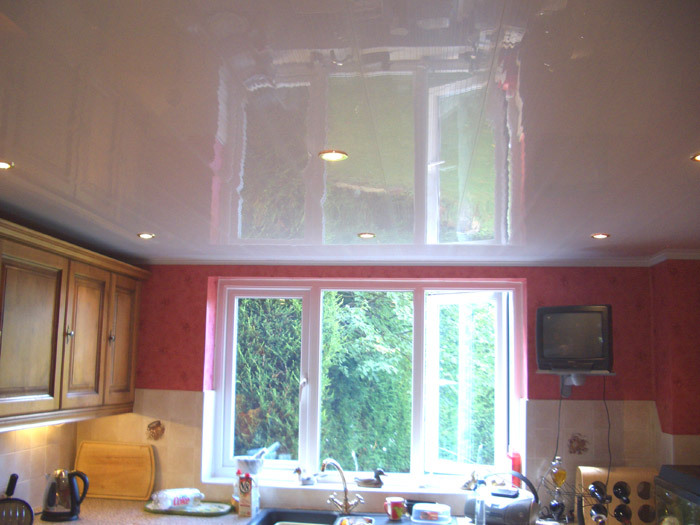 The room was plastered throughout to complete the conversion. 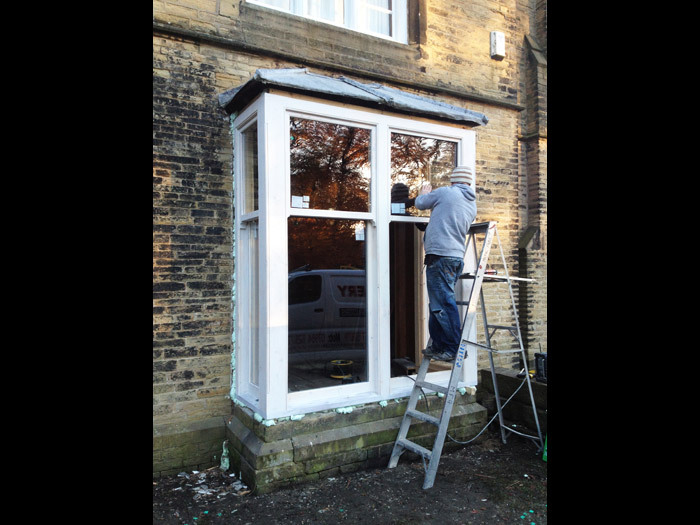 This restoration project was required to avoid the costly replacement of the sliding sash window. This particular building is grade II listed and therefore required a like for like replacement of the timber sections. All timbers used were preserved prior to installation to maximise durability. 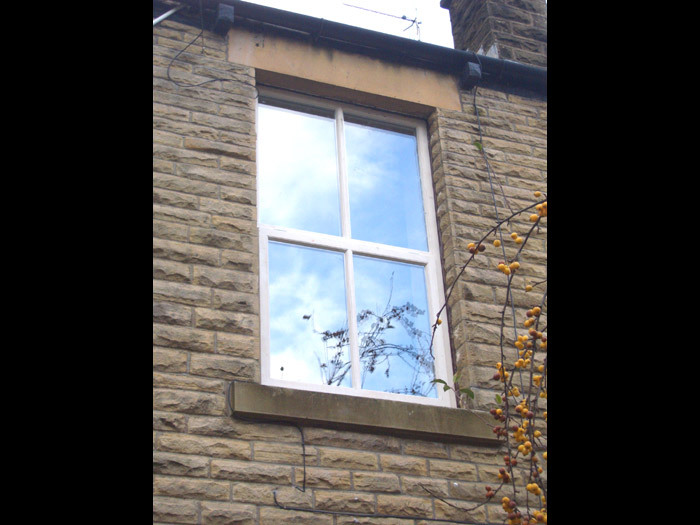 This project was a complete replacement of a bay window as the current window was beyond repair. 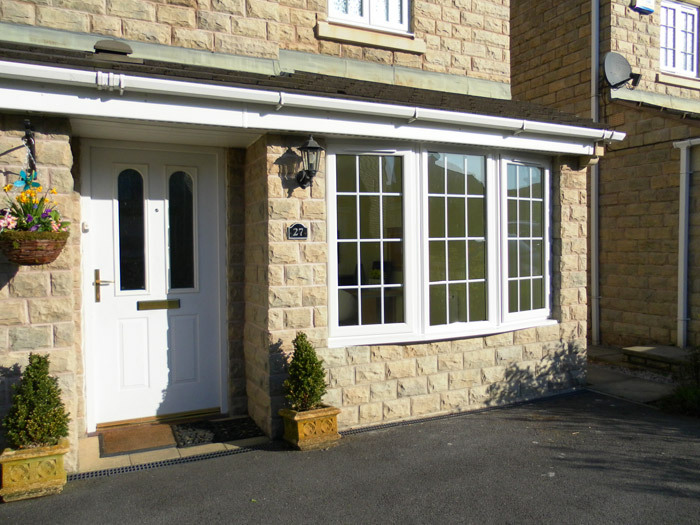 We supplied double glazed units and made good to finish the job off. 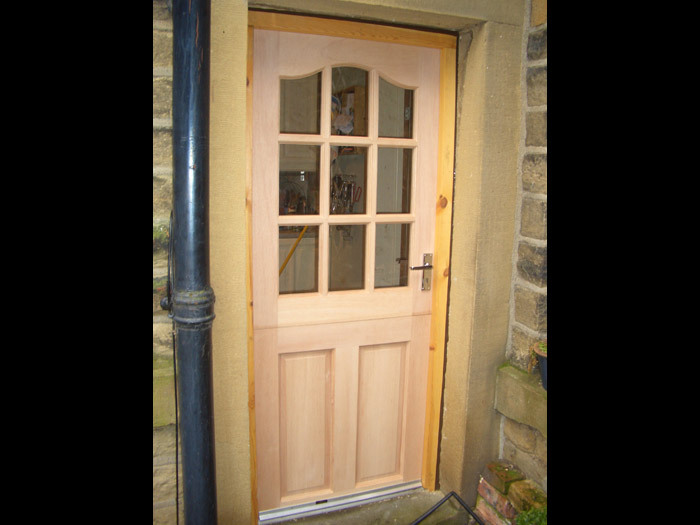 Here we replaced an old rotten door with a new hardwood stable door including a new frame and door furniture. 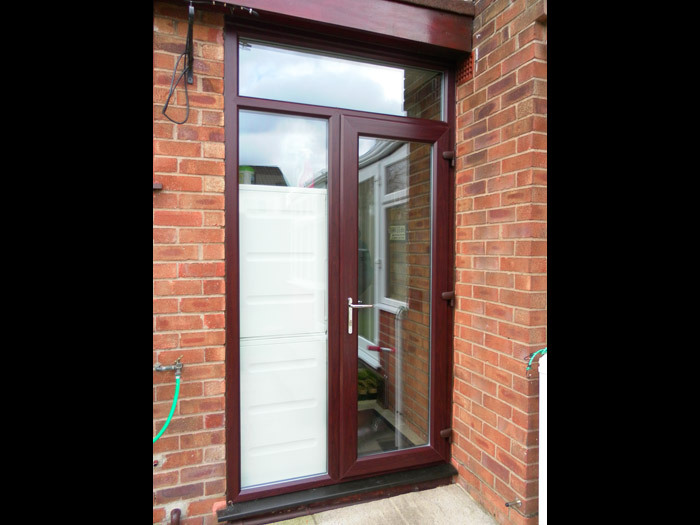 We fitted a new UPVC French door on this property to replace the existing wooden door and frame. This property is located in a conservation area, meaning the replacement window and frame needed to closely match the original. 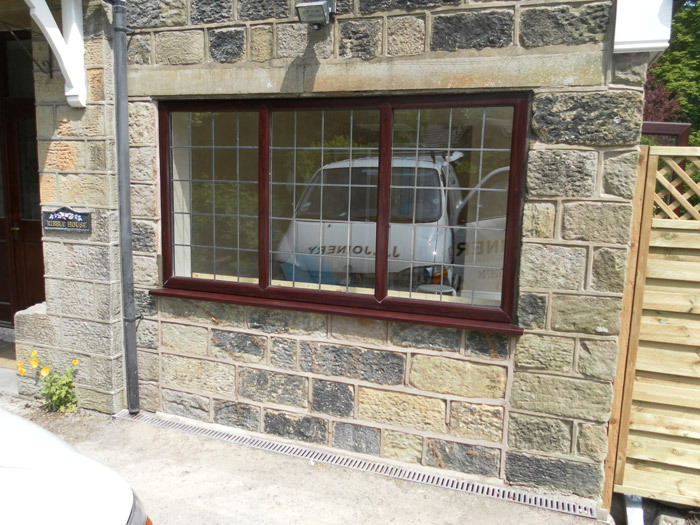 It was therefore necessary to have the window manufactured to spec. 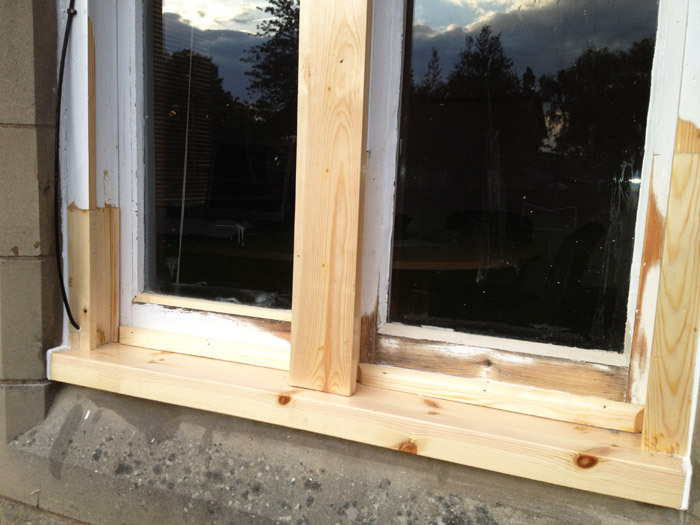 We removed the original window before fitting the replacement timber sash window. As always we made sure the job was finished correctly by retouching the paintwork and making good the walls surrounding the window. 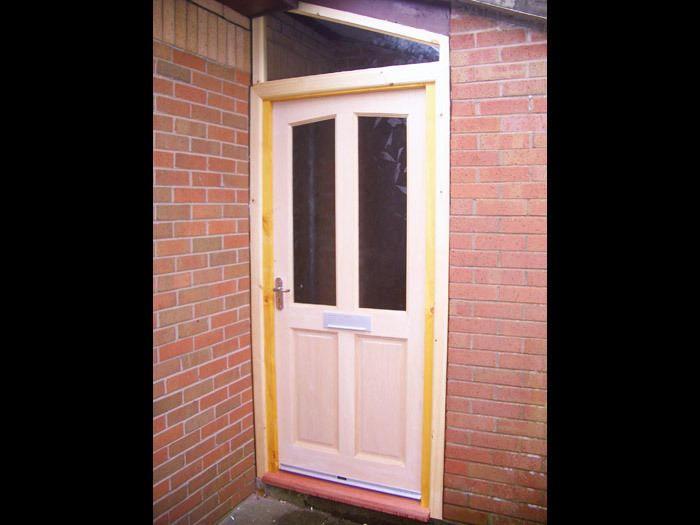 Supply and fit of a hardwood frame and softwood T&G door, to achieve a secure entrance to a rear garden. 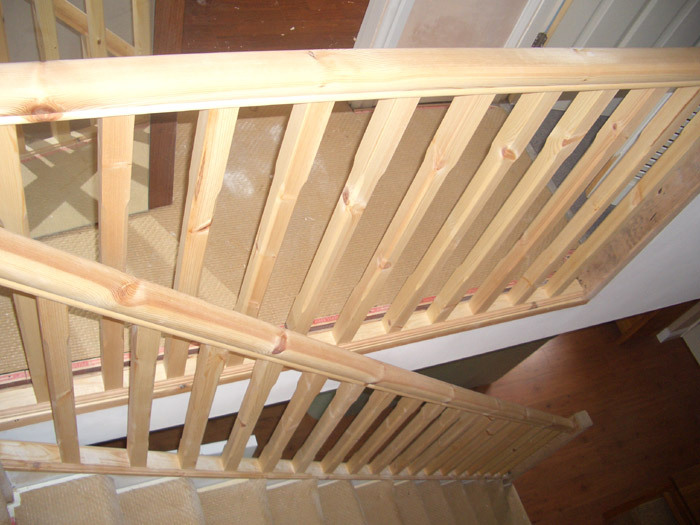 Fitting a new hand rail and spindles in softwood to an existing stair case and landing to improve the aesthetics of the property. "Dear Jason, my husband and I want to express our thanks for the excellent job you did in fitting the handrail to our stairs. 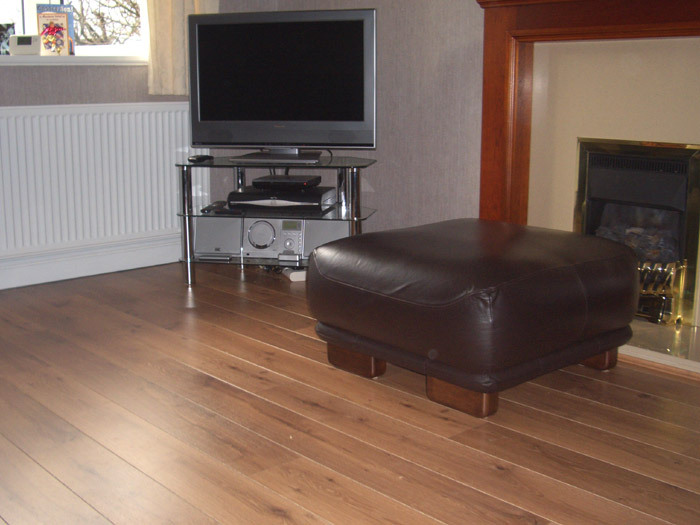 We were particularly impressed with the quick and tidy job you did for us which meant there was no disruption to our lives...The real wood finish looks great and really finished off the front room well." 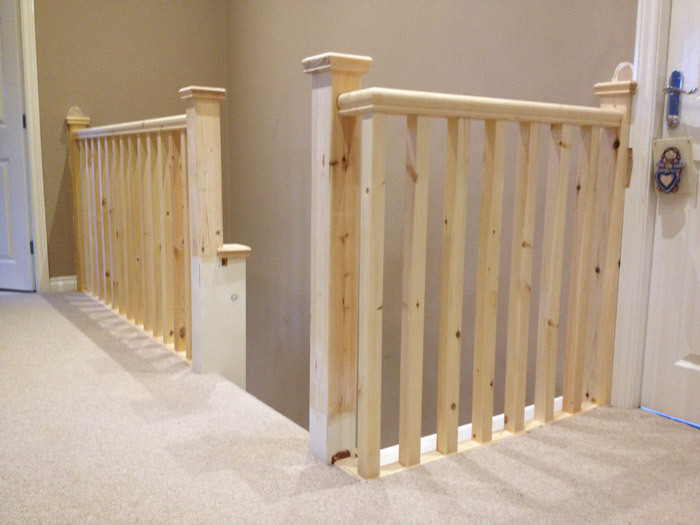 For this project we installed a new handrail, spindles and posts to the existing staircase. A cost effective way to makeover your stairway. 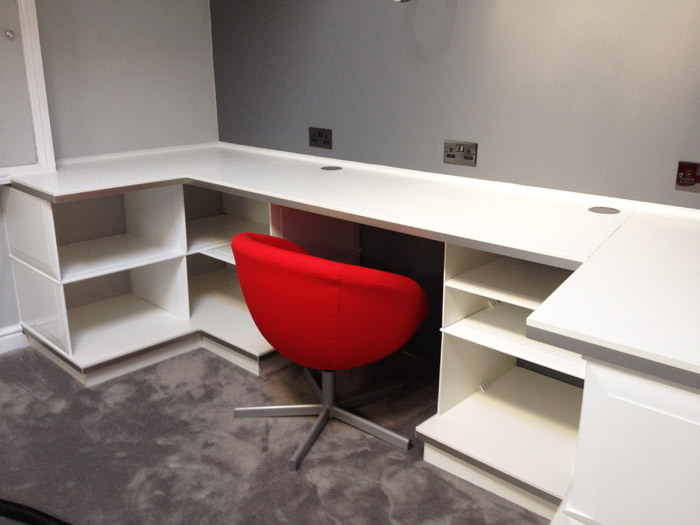 This project was in a conservation area and therefore required like for like restoration. 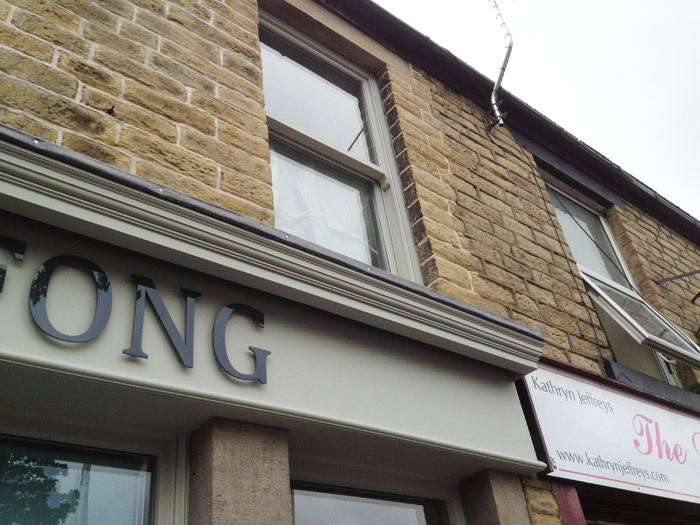 This project was to renew the shop front of a retail premises on Glossop High Street. It required considerable structural work to the front elevation including structural steels and rebuilding the stone work. 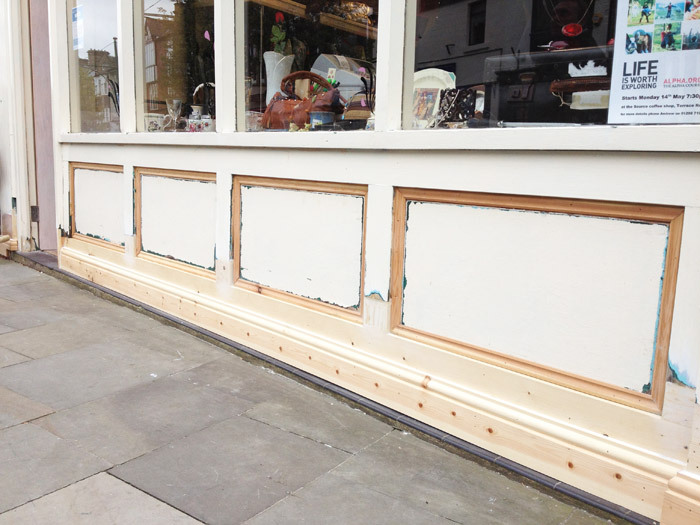 We also replaced the shop front and installed sliding sash windows to NEET guidelines set by the conservation department. The building was sandblasted and re-pointed in lime mortar and all internal work was made good as seen in the photos. 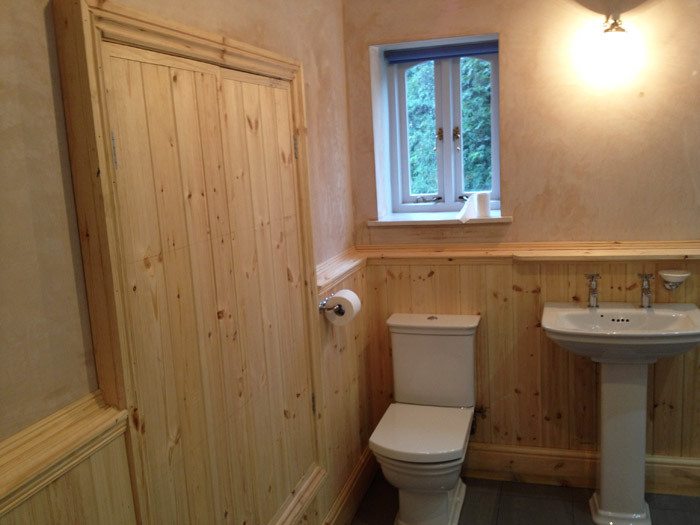 Here we installed new timber panelling to this period property to compliment the new bathroom suite. This project required a new opening to be created to allow for the new loft ladder installation. 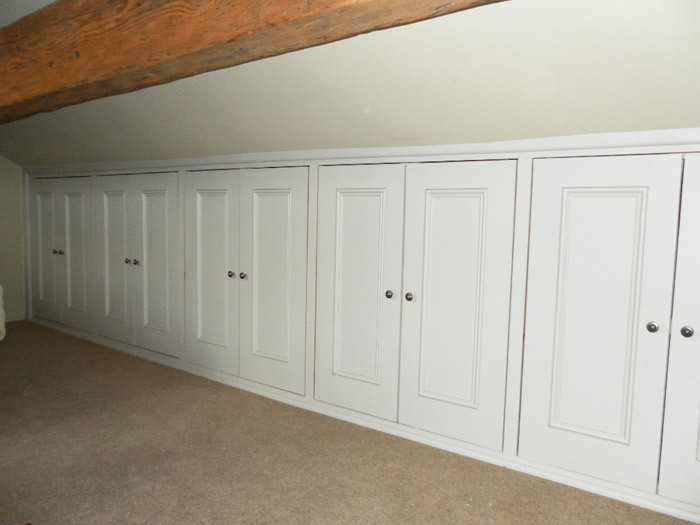 Here we designed and installed some built-in cupboards to maximise storage in the eaves of a loft room. This project was a media room fit to an existing conversion. 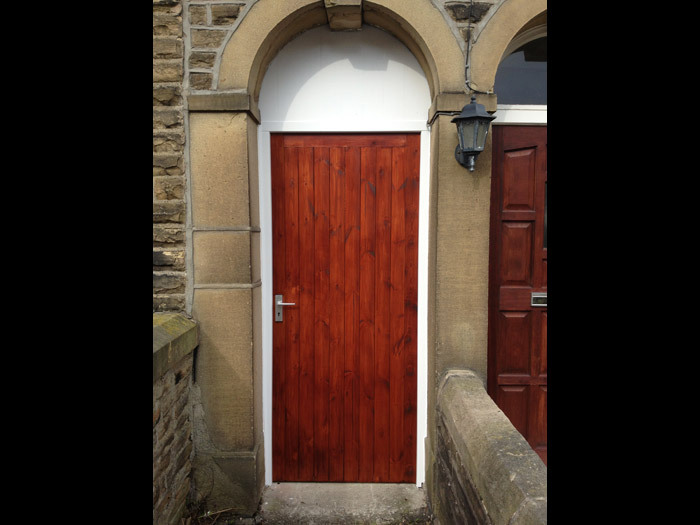 Here we created a simple vestibule to a terraced property to provide a noise and heat reduction. Part of the roof on this property had started to deteriorate and was no longer level. In order to repair the roof we first needed to strip away the tiles to allow access to the timber work. We replaced most of the timber and re-leveled the roof. We then replaced the UPVC fascias and white UPVC cladding on the underside of the roof and re-tiled the top. 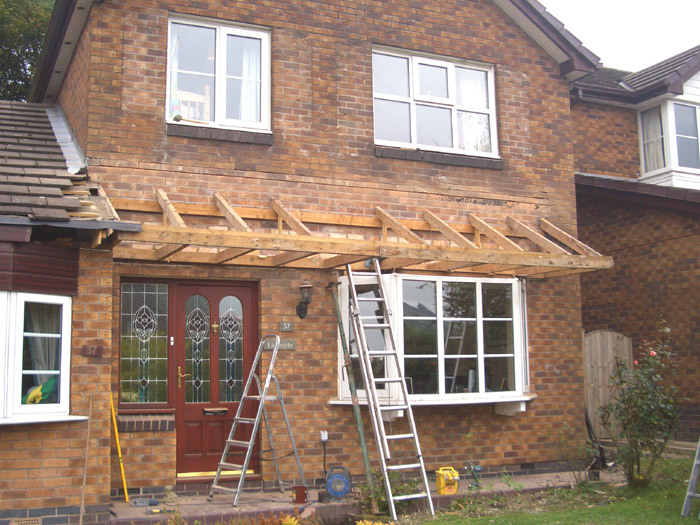 In order to increase the strength of the roof to avoid similar problems occurring in the future as well as for aesthetic purposes we installed oak timbers to support the roof. The first stage in cladding this ceiling was to fit a timber frame to the current ceiling in preparation for the PVC panels. The next stage was to complete the electrical work in preparation for energy saving halogen ceiling lights. We installed the cladding and coving. The final stage was to fit and test the lights.